The addition of a new ballroom/multi-purpose space of 35,000 sq. ft. that will include an outdoor terrace. Renovation of the existing North Hall. The addition of 14,000 sq. ft. of breakout meeting space. New pre-function/lobby of 15,000 sq. ft.
New concourse that will seamlessly connect to the existing South Hall concourse and the Embassy Suites hotel. Extension of the existing concourse leading from the Concert Hall and Arena to the newly constructed facilities. The addition of a new full-service kitchen. 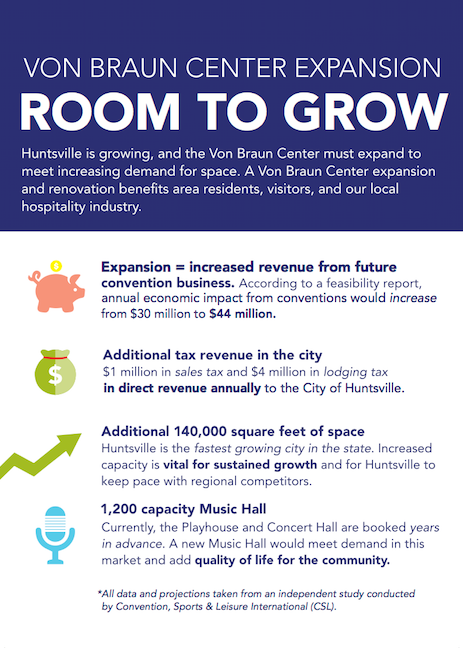 The addition of a 1,200 capacity music hall and food and beverage venue.